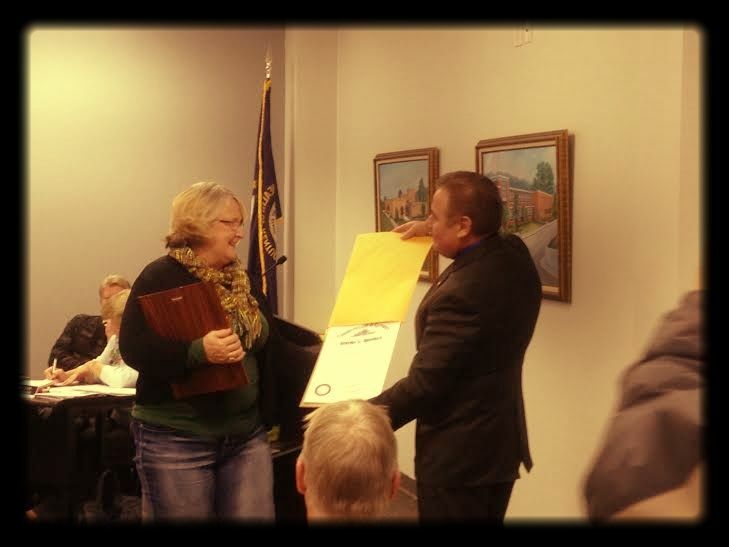 State Representative Dennis Keene (D­-Wilder) paid a post­election visit to Dayton city council Tuesday night, both to recognize outgoing city officials for their service, and to hint at some cash that might be on its way from Frankfort. Keene, who was born in Dayton, took Tuesday’s meeting as a chance to applaud work done by outgoing city council members Cathy Volter and Penny Hurtt. Volter was defeated on Election Day, while Hurtt decided not to run for re­election. 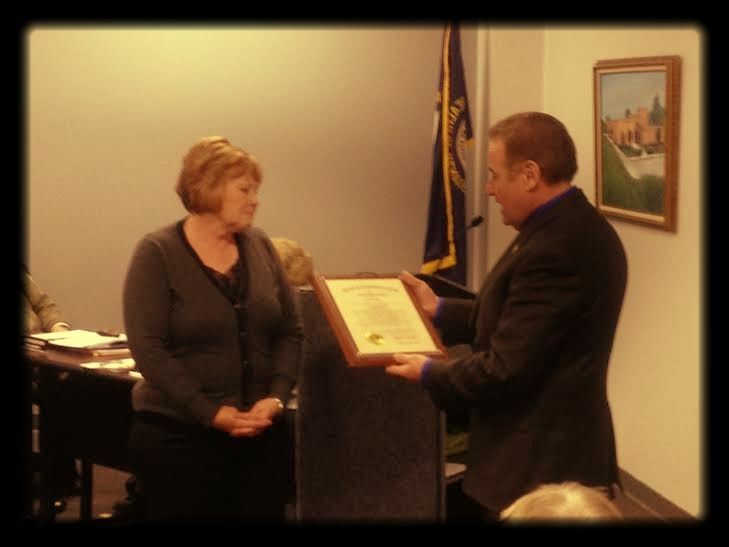 Keene also recognized Ken Rankle for his years serving as Mayor of Dayton, and bestowed upon the outgoing mayor, along with Hurtt, the prestigious title of Kentucky Colonel, the highest title of honor granted in the Commonwealth. “Many may not realize the investment of personal time these people commit,” Keene said of city council and the mayor’s office. Rankle said in gratitude that Keene has always had a strong relationship with Dayton: “Anytime we ever needed anything, I’d call up Dennis and he’d help any way he can,” Rankle said. Keene did not pass on the opportunity to also thank Dayton Police Chief Scott O’Brien, for spearheading Operation November Blitz, a drug ­bust operation coordinated between 14 Campbell County law enforcement offices, which took place last Friday. “It speaks volumes of our city and what we stand for,” Keene said. Keene, who also paid a visit to Bellevue’s city council last week, ended his address to council by mentioning some possible street servicing money he is currently working to secure for Dayton from Frankfort, hinting a figure of around $125,000. “The burden of our streets unfortunately too often falls on the city of Dayton,” Keene said, mentioning how more rural parts of the state are eligible for the Rural Road Fund, a reserve of cash, held by the state, to service rural roads throughout Kentucky. Dayton, being an urban city, cannot benefit from these funds. Keene did not offer a timeline for when Dayton may see those road funds.